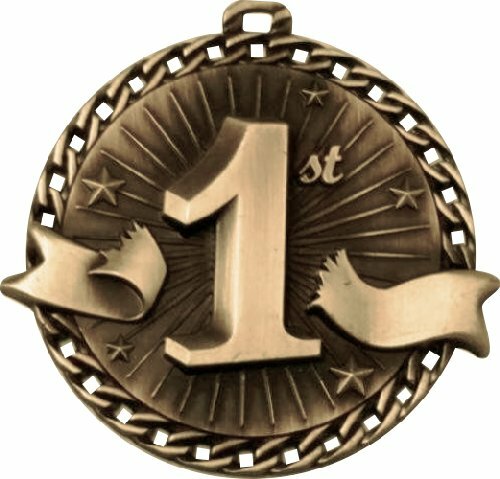 The Burst Thru 1st Place Medal has a chain around the edge and a 1st bursting thru a ribbon. This first place medallion is available in an antique gold finish. These first place medals look great with your choice of a either a 7/8 inch or 1.5 inch wide neck ribbon. The back of these 1st place medallions have a 1.5 inch diameter space for an engraved plate that can hold up to 5 lines of engraving with 10 to 15 characters per line. 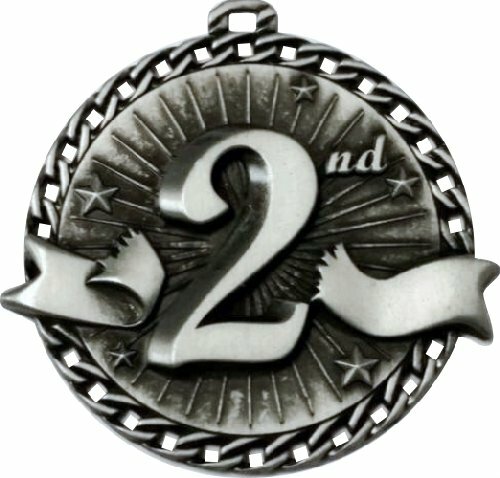 The Burst Thru 2nd Place Medal has a chain around the edge and a 2nd bursting thru a ribbon. This seconf place medallion is available in an antique silver finish. These second place medals look great with your choice of a either a 7/8 inch or 1.5 inch wide neck ribbon. 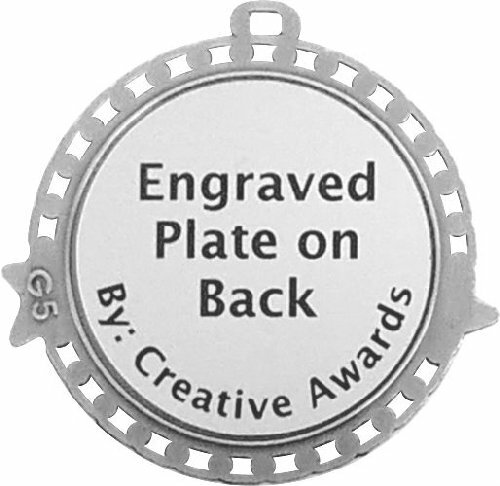 The back of these second place medallions have a 1.5 inch diameter space for an engraved plate that can hold up to 5 lines of engraving with 10 to 15 characters per line. 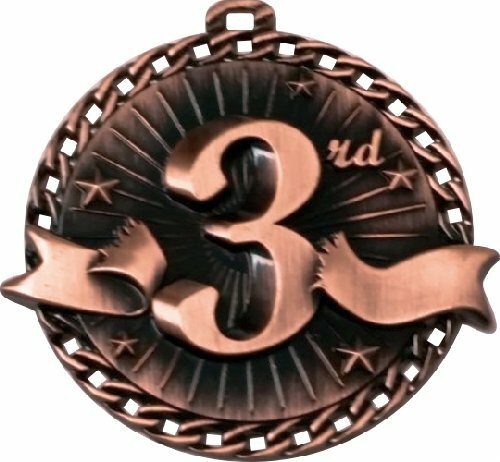 The Burst Thru 3rd Place Medal has a chain around the edge and a 3rd bursting thru a ribbon. Thisthird place medallion is available in an antique bronze finish. These third place medals look great with your choice of a either a 7/8 inch or 1.5 inch wide neck ribbon. 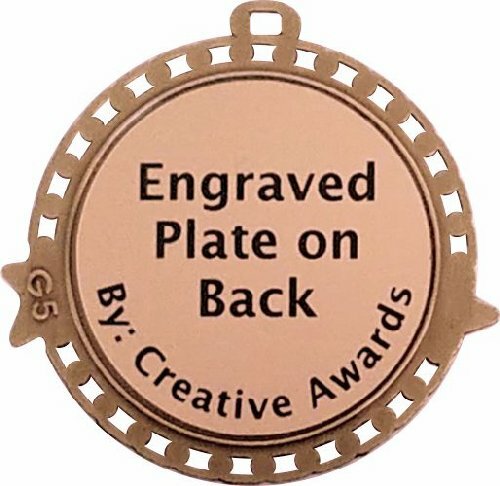 The back of these 3rd place medallions have a 1.5 inch diameter space for an engraved plate that can hold up to 5 lines of engraving with 10 to 15 characters per line.